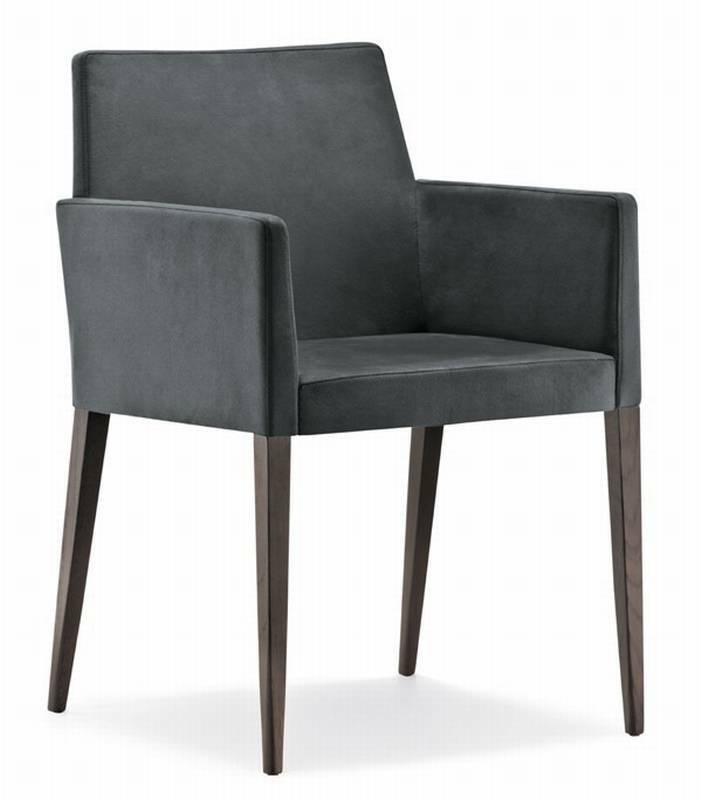 Description A beautifully upholstered dining chair with a solid oak frame, the legs are stained wenge (dark) or bleached (light). The slender legs taper downwards from a square section to become round at the bottom. Upholstered in a wide range of fabric, leather and simil leather colours (see corresponding samples below for all options). Versions without arms are also available, see related products below.